The 2CV is an unlikely race car. LONDON -- Snetterton, an English race track accustomed to hosting the elite of British motorsport, welcomed a collection of one of France's most iconic vehicles, often derided for their snail-like looks and speed, for the annual 24-Hour Citroen 2CV race last weekend. The race, which began at 18.00 CET on Saturday, included 27 teams made up of between two and four drivers. The 2CV, which was in production between 1948 and 1990, has distinctive exterior-mounted headlights, a raised rear end and leans alarmingly on curves, making it an unlikely race car, particularly as critics often joked the "tin snail" could to 0-100 kph (62 mph) in one day. "They're faster than they look, they feel like F1 cars when you're inside them so yeah it's great fun," said John Paul Wilkinson, one of the drivers who competed at the circuit in the eastern county of Norfolk during the weekend. Newcomers Beacon Downe managed to complete 708 laps of the three-kilometer (1.95 mile) circuit to claim the win on Sunday in what proved to be a hotly contested race, which saw the lead change hands several times. 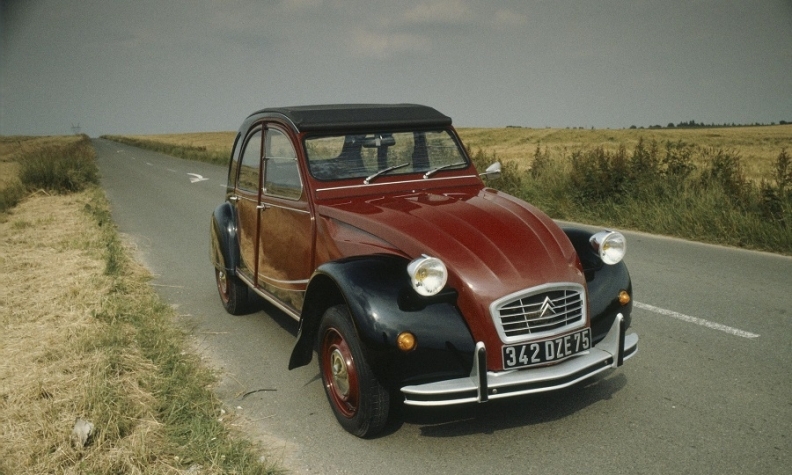 The 2CV was originally conceived as an inexpensive vehicle that would tempt French farmers away from using a horse and cart. The model number stands for "deux chevaux-vapeur" - or "two horsepower" - a reference to its taxable rate based on cylinder dimensions rather than the actual engine power. The smallest 2CV engines packed nine horsepower as measured in most modern cars.